Moderated by Curator Susan Earle and Art History Professor and Department Chair David Cateforis, this is the third in a series of dialogues with artists featured in the exhibiton “The Power of Place: KU Alumni Artists.” This session features David Brackett, Marcie Miller Gross, Lisa Grossman, Brian Hawkins, Philip Heying, Stephen Johnson, and Rick Mitchell. Please visit The Spencer Museum of Art’s YouTube Channel to see previous dialogues. the KU campus and community—in shaping students who make art. Opening reception: Friday, November 2, 2018, 6 – 9 p.m. Closing day with an Artist’s Talk, Saturday, December 1, 2 p.m. This show featured an assemblage of small oil paintings on the main wall depicting the 173-mile long Kansas River, from Kansas City, MO., to Junction City, KS. 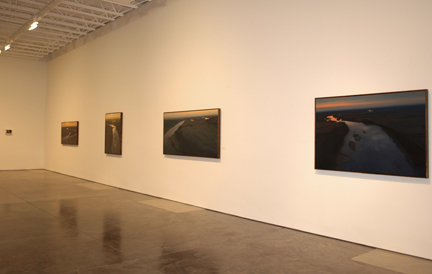 Multiple large paintings of the river were on view throughout the gallery as well. Click here for more Facebook updates. 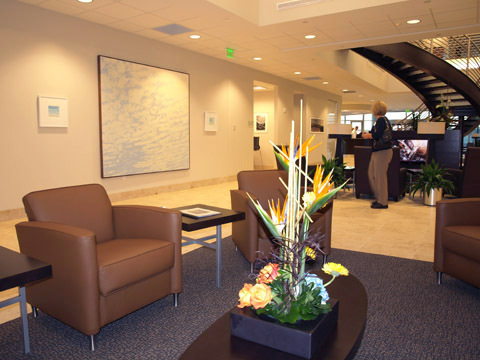 Grossman’s work was featured in Circa Gallery’s Summer Salon II. NOTE: This is the final show in this space. Stay posted for information about a new location soon. “In the Cottonwood Watershed,” was chosen as the winner of the 2018 Prairie Art Exhibition, and will be featured at the event’s auction on June 9, 2018. In addition, one hundred limited edition, signed and numbered prints will be available at the event, on line, or at the Symphony shop in Cottonwood Falls, KS. at Rosalia Ranch in Butler County. My Google Tour for VOTW is ready for viewing! 1. View “Tour Builder,” by clicking this HERE, which allows you to see my slides and videos along with Google Maps. Use Chrome, and click on the menu button at the upper right corner (pancake stack, 3 horizontal lines) and select “Open in Earth” to experience this tour in Google Earth on the web. I hope you enjoy it and I welcome your feedback and questions. In summer of 2017, Lisa was an artist-in-resident with the US Forest Service kayak rangers in Tracy Arm-Fords Terror Wilderness, Tongass National Forest, Alaska. The Voices of the Wilderness Program is modeled after the National Park’s AIR programs but pairs artists with wilderness specialists in the National Park Service, US Forest Service, or US Fish & Wildlife Service, in almost a dozen locations around Alaska. Lisa spent six days kayak camping in Endicott Arm Fjord with Ranger Chrissy, on her rounds monitoring campsites, noise and visual intrusions, wildlife, as well as boarding tour boats for educational talks. She came back with a wealth of photos, videos, paintings, a glimpse of what it takes to manage a place for “Wilderness Character,” and a whole new appreciation for ice! Grossman was an artist-in-residence in Bandelier National Monument the first two weeks of October. Stay posted for updates on my projects and presentations about this fabulous experience. Gallery talk, 3-4 pm, and opening reception, 5-8 pm, Saturday, August 26. Grossman was selected from 90 applicants to be an artist-in-residence with the U. S. Forest Service in Tracy Arm/Ford’s Terror Wilderness, Tongass National Forest, Alaska, roughly 50 miles southeast of Juneau. She accompanied wilderness rangers on a kayak expedition up the Endicott fiord that included monitoring noise and air pollution, campsites, wildlife, removing invasive species, and boarding small cruise ships for educational talks. She painted on location and will continue painting around these stewardship goals for her donated project. She will be doing presentations in the community about her experience so stay posted for updates here and on her Facebook – artist page. Opening reception, Friday, May 19, 6 – 9 p.m.
I’ve donated a piece to the Symphony in the Flint Hills auction every year since it became an annual event in 2006 and this was my donation for 2017. The auction was held on the day of the event, June 10, 2017, in Geary County. 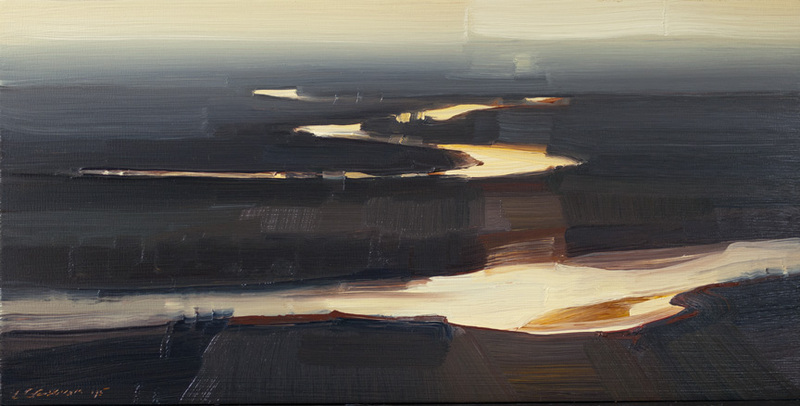 Valley IV, oil on panel, 20 x 16 in. Grossman has work in Circa Gallery’s Summer Salon. Grossman’s “Lightning Triptych” print panels were chosen for the National Weather Center’s third biannual exhibition of weather-themed work. 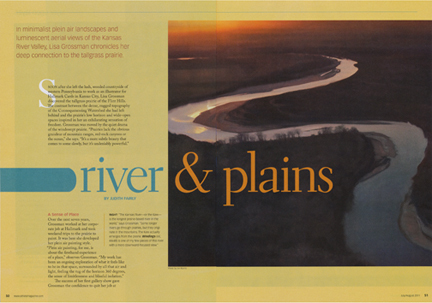 Grossman’s “86 Bends of the Kaw” print panels, were featured in an interview with Saralyn Reece Hardy about her favorite works by Kansas artists at the Spencer Museum of Art, Lawrence, KS. Grossman showed oils and watercolors at the Lawrence Public Library from her six National Park artist-in-residencies since 2004. Grossman gave a presentation for Jayhawk Audubon‘s monthly program series where she shared images and insight from her experiences as an artist-in-residence in Rocky Mountain National Park, CO, Mesa Verde National Park, CO, Petrified Forest National Park, AZ, Agate Fossil Beds National Monument, NE, and the Tallgrass Prairie National Preserve, KS. 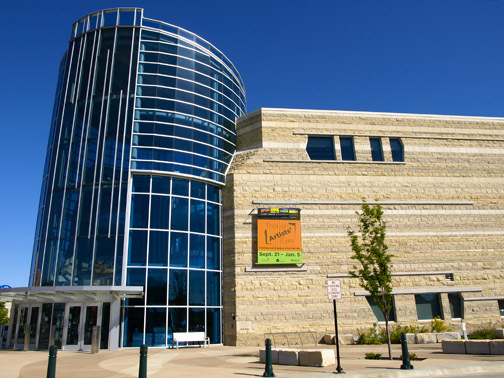 The Lawrence Public Library is hosting an exhibit of nearly twenty original works and proceeds from sales will donated to the National Park Foundation, the Lawrence Public Library and Jayhawk Audubon Society. February 27, 2017, 7:30 p.m.
Grossman had a piece in Circa Gallery’s Winter Salon. Dark Clouds Descend, oil on canvas, 24 x 24 in. 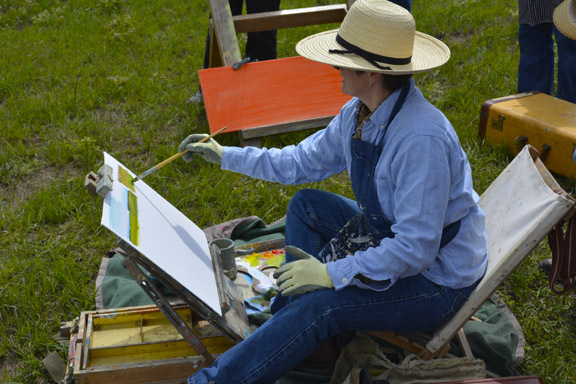 Grossman showed plein air and studio paintings from her April artist-in-residency at the Tallgrass Prairie National Preserve north of Strong City, KS. Grossman is featured in a documentary film by Dave Kendall that marks the 20th anniversary of the Tallgrass Prairie National Preserve. Screenings were held in Emporia and Manhattan, KS, and it aired on public TV stations in the Kansas City, Topeka, and Wichita areas. 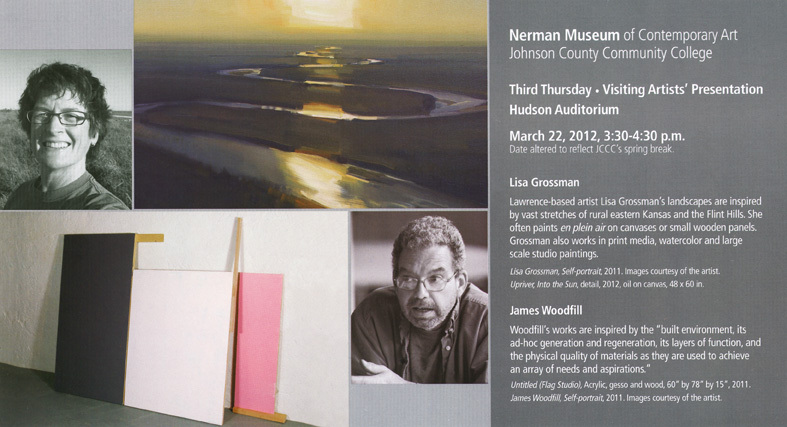 Lisa Grossman – Board member of Friends of the Kaw, river expert, and very talented painter. She’ll talk about her experiences on the Kansas River near KC and general river advocacy. Shirley Braunlich – Board member of Kansas Native Plants Society and serious amateur botanist. Joyce Wolfe – Board Member National Office of the Audubon Society, Kansas Audubon, Kansas Grassland Heritage Foundation. Grossman’s “Lightning Triptych” print panels won a juror’s award in the sixth biennial juried print show, a national competition featuring new and experimental printmaking. Juror: Stephen Goddard, Spencer Museum of Art associate director, senior curator of works on paper, and professor of art history. Artist Symposium at the Marianna Kistler Beach Museum, Manhattan, KS. 9 a.m. – 2 p.m. – each of ten artists gave a presentation of their artist-in-residence experience at the Tallgrass Prairie National Preserve this summer. Symposium podcast. The exhibit opened at The Bank Art Space, Matfield Green, KS, 5 – 8 p.m. and runs through December. Grossman’s painting, “Dark Tepee Formation,” is included in “In These Parks,” the first in a series of videos that celebrate the centennial of our National Parks and the arts. 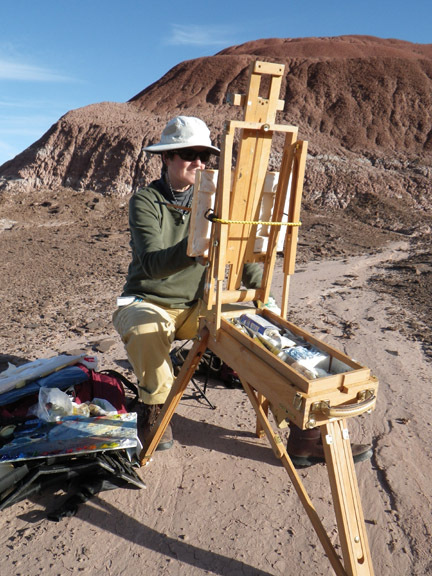 Grossman was an artist-in-residence in Petrified Forest National Park in 2009 and 2011 where the work was painted. Studio Visit Magazine – Grossman included in Volume 34. Summer Salon at Circa Gallery, features new work by Circa artists including new river work by Grossman. Grossman was featured in the Summer 2016 edition of Lawrence Magazine along with other nature-based artists, Justin Marable and Heather Smith Jones. Grossman taught a two-day plein air Master Class in the magnificent Flint Hills of Kansas, hosted by the Gallery at Pioneer Bluffs in Matfield Green. Grossman was the first artist-in-residence at the Tallgrass Prairie Preserve from April 17 – 26, 2016. Nine other AIRs will also be working there over the summer, culminating in a show of the work October 1, 2016, at The Bank, art space in Matfield Green, KS. See Grossman’s artist Facebook page for videos and shots from her stint at the Preserve. Professional Artist Magazine published an article in the Dec-Jan 2016 issue, “Fine Art Lures Party Planners to Sports Venues,” that features some of the work in this thoughtful collection of regional artists. This print was selected for the inaugural print show at Southern Illinois University Carbondale. Juror: by David Jones, Founder, Master Printer and Executive Director of the former Anchor Graphics, now merged into The Center for Book, Paper & Print at Columbia College in Chicago. Jones is also the current President of Southern Graphics Council International (SGCI). KC STUDIO magazine article, Artist’s File Initiative documents accomplishments of Kansas City Artists, March/April 2016 Volume VIII, Issue 2. Grossman was included in the Artist’s File Initiative as of January, 2016. KC STUDIO magazine article, Nerman Museum opens gallery dedicated to art and artists of Kansas, January/February 2016 Volume VIII, Issue 1. Grossman is included in the new Kansas Focus Gallery collection in conjunction with the opening gallery show February 4, 2016. 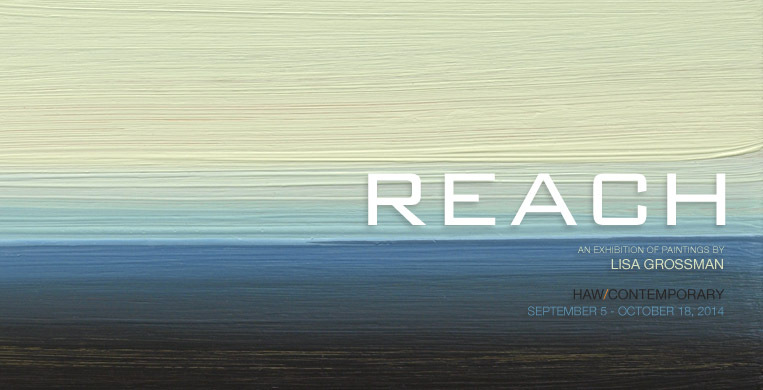 Opening reception, Friday, September 18, 6 – 10 p.m.
Hong Zhang, and Mike Sinclair. Grossman’s work, “Smoke in the Hills,” was chosen for this year’s limited edition print by juror Liz Seaton, curator at the Marianna Kistler Beach Museum of Art, in Manhattan, KS. Signed, limited edition prints are available at the Symphony in the Flint Hills Gallery in Cottonwood Falls, KS. Grossman’s watercolors were also featured in the Field Journal. Grossman taught a two-day plein air Master Class in the magnificent Flint Hills of Kansas, hosted by the Gallery at Pioneer Bluffs in Matfield Green. Click on the link for more information. 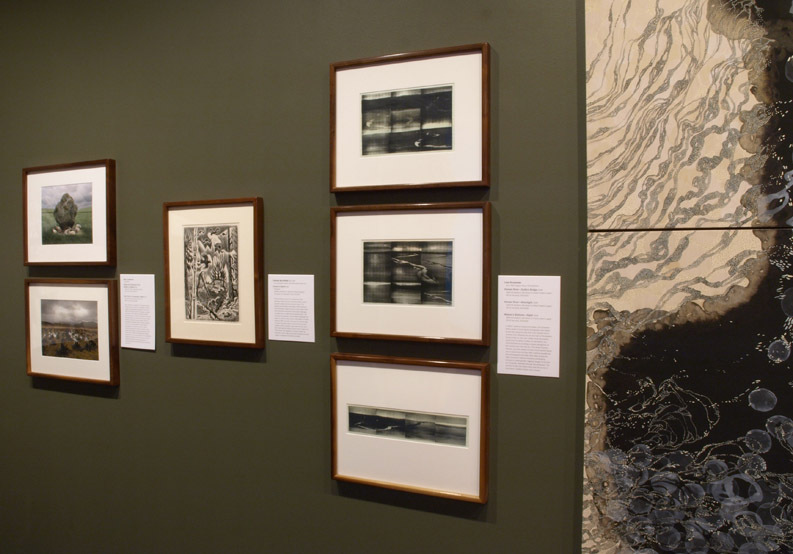 Holding Pattern includes three of Grossman’s Kansas River prints, relief-roll woodcuts, in this exhibit of recent acquisitions to the permanent collection in a series of thematic installations. 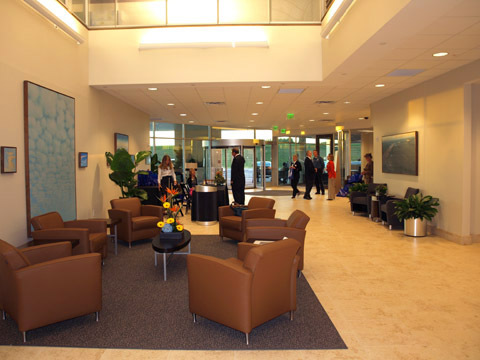 Haw Contemporary was featured in KC Studio magazine in Nov/Dec 2014. 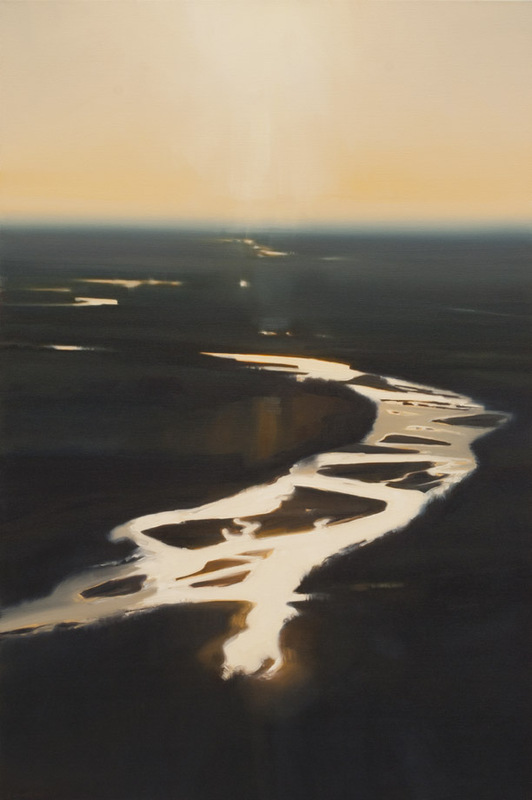 Grossman’s river paintings were chosen from almost 1,000 applicants to be featured in the No. 114, West Edition, of New American Paintings, published by Open Studios Press. Grossman was also previously featured in No. 24, in 1999, and No. 54 in 2004. Currently the “Featured Artist,” Grossman was invited to participate in Field Notes, a web site devoted to artists who have worked as artist-in-residents in our national parks and forests. The site features galleries of her work from Agate Fossil Beds National Monument, Mesa Verde, Petrified Forest, and Rocky Mountain National Parks. 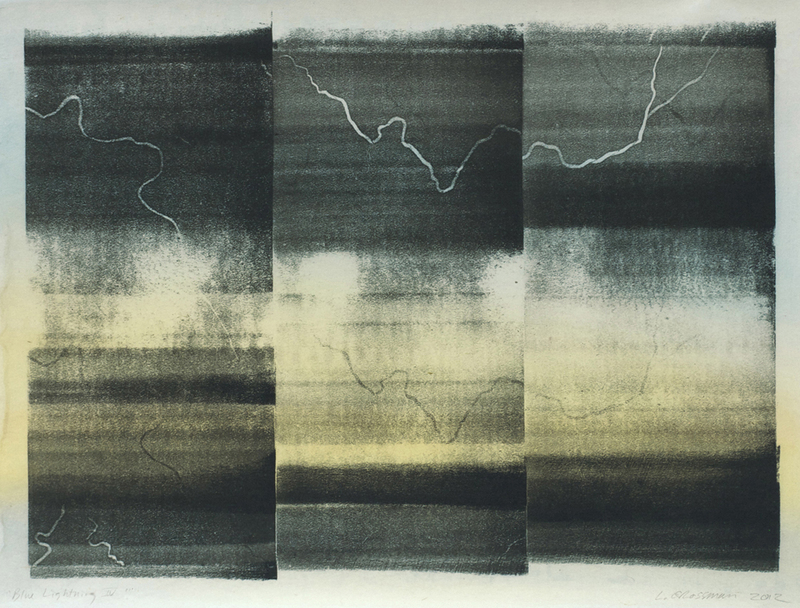 Grossman had her first solo show at Haw Contemporary, September 5 – October 18, 2014, with an opening reception on Friday, September 5, 5–9 p.m.
Grossman’s print piece “Blue Lightning IV” was selected for this year’s exhibit that features work that celebrates the night skies and dark sky preservation. This is the third time her work has been included in the show. 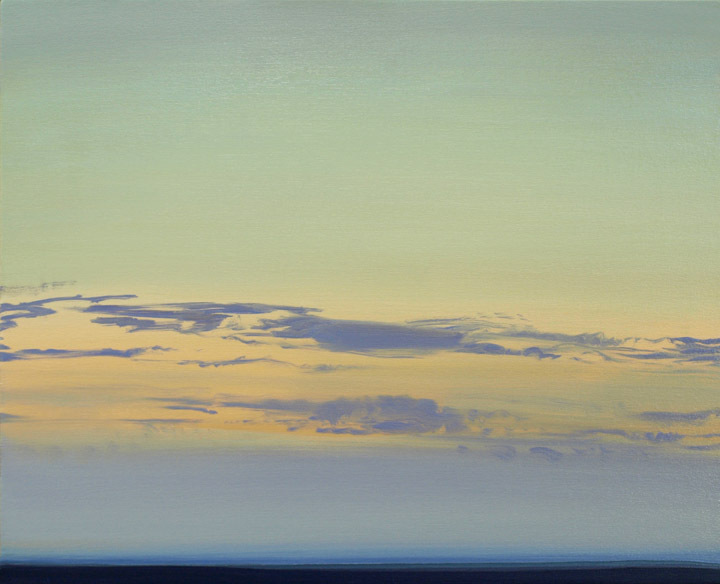 Grossman’s painting, Unfurling, was featured in the invitational exhibit, “Embracing Nature,” September 9 – October 19, 2014. 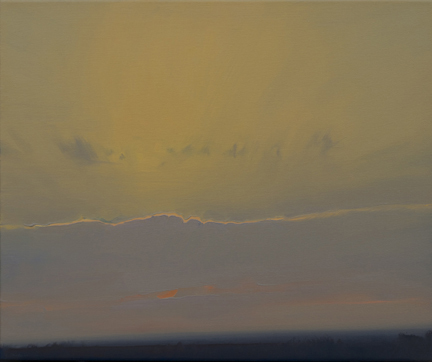 Grossman’s work was featured in the 9th annual Symphony in the Flint Hills field journal. This year’s Symphony took place at the gorgeous Rosalia Ranch in Butler County, KS. Grossman was Agate Fossil Beds National Monument’s first Artist-In-Resident. Grossman taught a two-day plein air Master Class in the magnificent Flint Hills of Kansas, hosted by the Gallery at Pioneer Bluffs in Matfield Green. Click on the link for more information and stay posted for future classes. 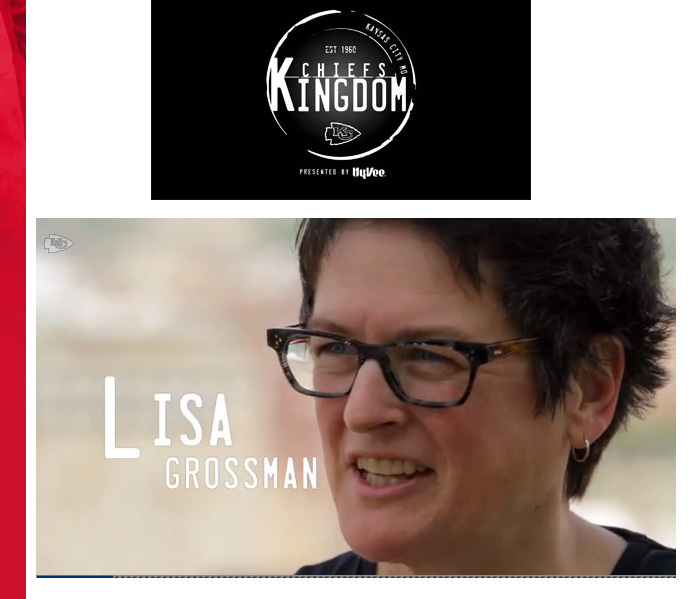 Lisa Grossman discussed the challenges and joys of painting on location and the unique opportunities this provides for discovery in the vast spaces of the tallgrass prairie in the Flint Hills. The Chiefs Art Program documentary aired in November, 2013. 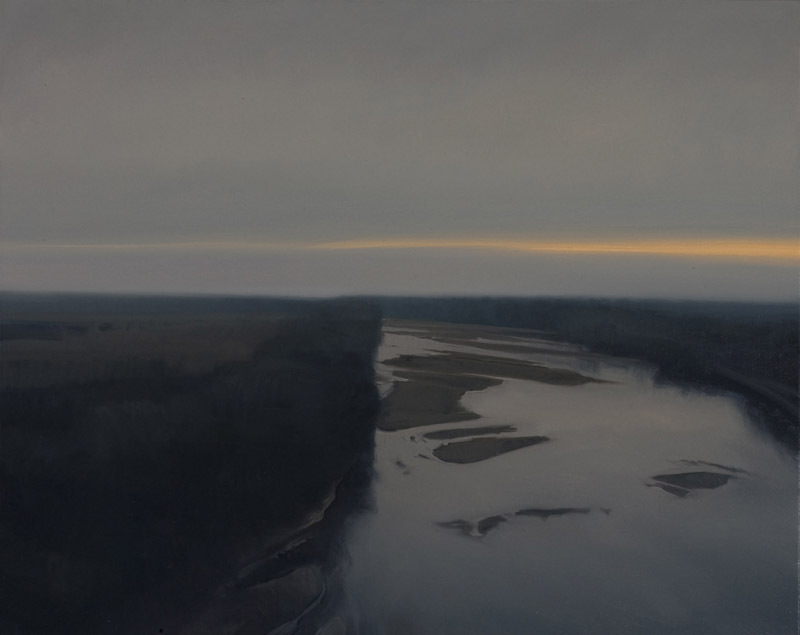 Grossman is one of the artists featured with her commissioned piece, a 6 x 10 foot oil on canvas of the Kansas River. Grossman’s print, “Blue Lightning IV” was accepted into the Los Angeles Printmaking Society’s 21st National Exhibition. The juror was Jack Rutberg, of Jack Rutberg Fine Arts, Inc., and the exhibition ran from October 26 – December 14, 2013, at California State University, (CSUN), Northridge, CA. Opening reception October 26, 5 – 9 p.m.
Grossman showed her new river work in a two-person show at EVOKE Contemporary in Santa Fe, New Mexico. 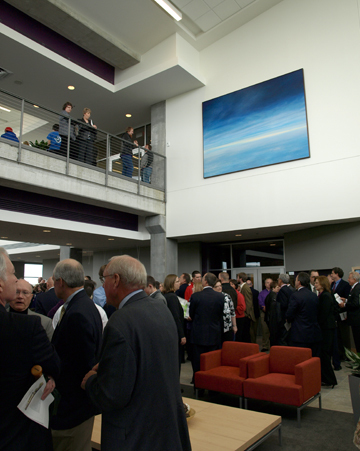 View an album of opening reception photos on Grossman’s “artist” page on Facebook. 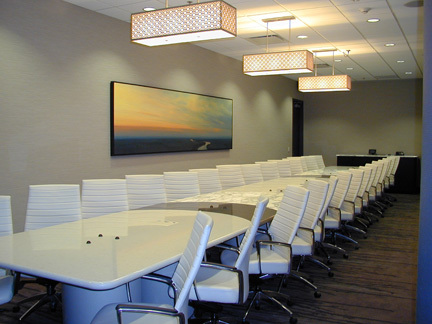 Grossman was selected to create a large commissioned work for the Chiefs’ Art Program, a world-class art collection recently installed in the newly renovated Tower Club rooms at Arrowhead stadium in Kansas City, MO. 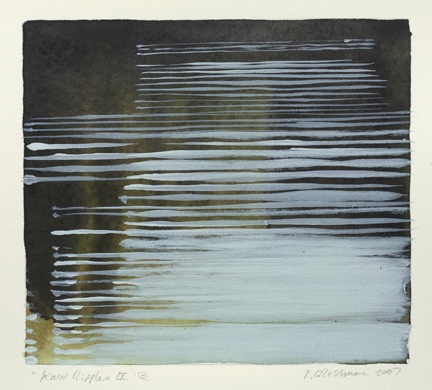 “Water” featured Grossman’s large print piece “86 Bends of the Kaw,” and coincided with ASLE (Association of the Study of Literature and the Environment), the 10th Biennial Conference, hosted by the University of Kansas. Grossman also presented on a conference panel about her Kansas River work in late May. 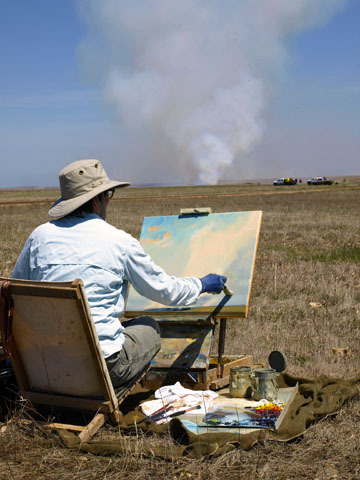 Grossman taught a two-day plein air Masterclass in the magnificent Flint Hills of Kansas. This class was hosted by the Gallery at Pioneer Bluffs. A Kansas Bestiary – now available! Grossman illustrated a book of fifteen Kansas animals with companion essays by Jake Vail and Doug Hitt. 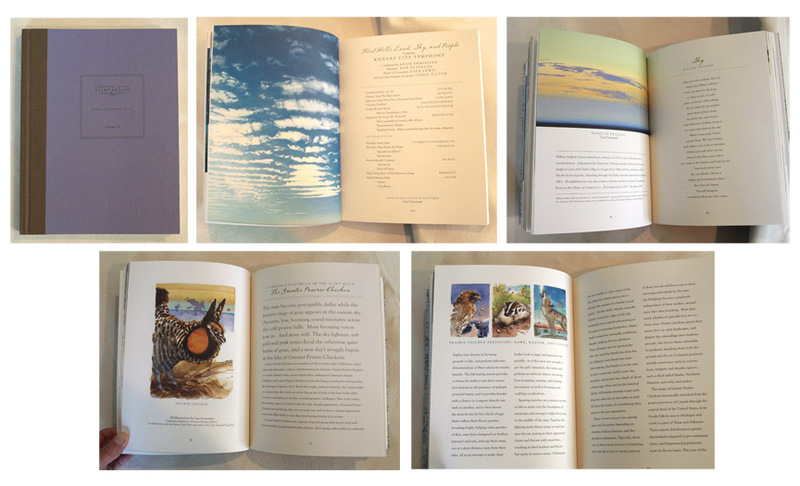 The book was published in partnership with the Kansas Land Trust (KLT) and made possible by a grant from the Douglas County Community Foundation’s Elizabeth Schultz Environmental Fund. Book sales benefit KLT. Order books through the Kansas Bestiary web site or at the Raven Book Store, in Lawrence, KS. A book party and exclusive show and sale of the original illustrations was held at the Carnegie Building in Lawrence, Kansas, on Sunday, April 7, 2013. All illustrations have been sold. Facebook February! – I finally joined Facebook, so please visit and “Like” my page at “Lisa Grossman – artist” to keep up with newsy updates on shows, events, and work in progress. Grossman is the featured artist in the current edition of The Journal, inspiration for civic leadership in Kansas. Grossman “Blue Kaw” print panel was selected for the fourth biennial juried print show, a national competition featuring new and experimental printmaking. Grossman had three paintings selected for this biennial competition. 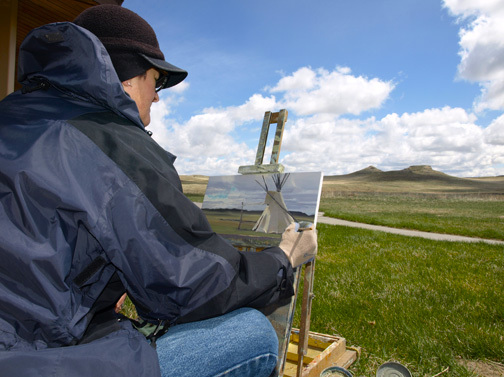 Grossman taught a 2-day plein air painting Master Class on the Pioneer Bluffs ranch and surrounding Flint Hills prairies. Grossman gave a presentation of her work at the Kansas Land Trust’s community supper event at the Lecompton Territorial Capital Museum. Grossman presented her work in a lecture along with sculptor, James Woodfill. 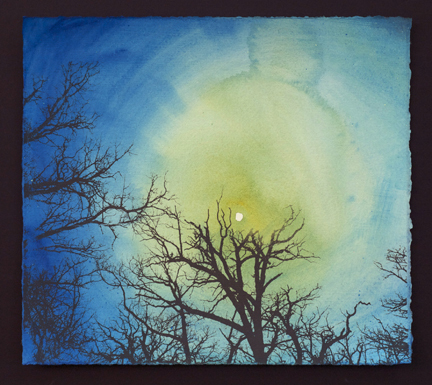 Grossman’s watercolor, “Lightning III,” was featured on the cover of the Committee on Imagination & Place literary anthology, “Weather,” Lawrence, Kansas, 2012. Strecker-Nelson Gallery curated an enormous showing of Grossman’s range of work at The Carriage Factory. Grossman’s work debuted at EVOKE Contemporary in Santa Fe, New Mexico, on February 3, in a First Friday event. 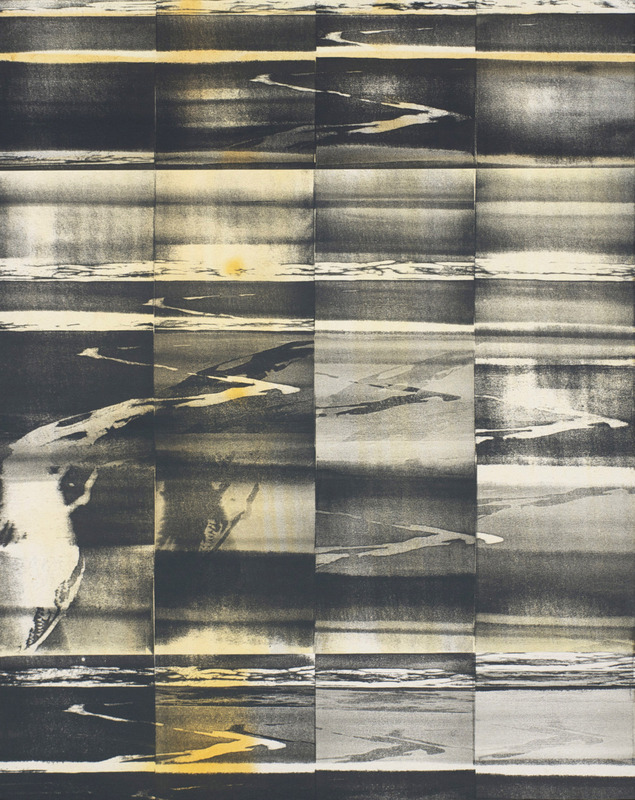 Grossman’s river prints were included in Interlopers, featuring works on paper at EVOKE Contemporary, which opened on March 2, 2012. Click here to see the Grossman feature. Grossman was included in a group exhibition of artists who maintain an active outdoor studio practice in the creation of their work, along with Marci Aylward, John Davis Carroll, Mary Ann Strandell, and Jane Voorhees. 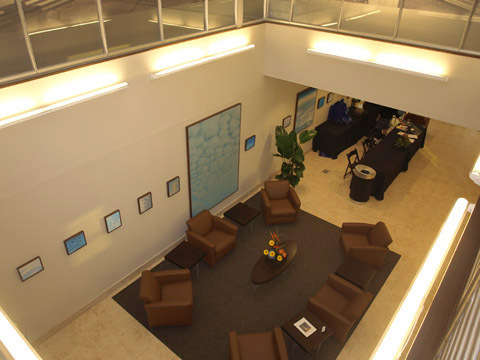 Grossman was selected to be an artist-in-residence for two weeks of painting, November 7 – November 20, 2011. She created a series of oil and watercolor landscapes and donated a piece to the Park’s collection. Grossman was the featured gallery artist for the Land Institute’s Prairie Festival XXXIII. She also gave an “Artist’s Talk” about finding a “sense of planet” through the process of plein air painting. Lisa Grossman was a featured speaker at the recent international Grasslands Symposium held on the Kansas State University campus, joining researchers from Mongolia, South Africa, and throughout the Long-Term Ecological Research (LTER) community. 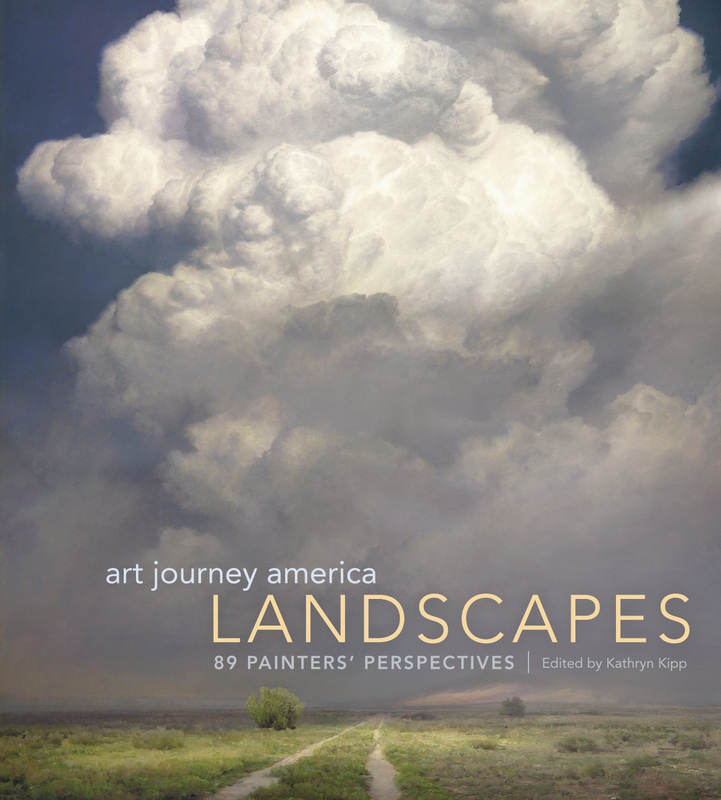 The July/August 2011 Artist’s Magazine features a full-color 8-page spread about Grossman’s plein air prairie work and aerial river paintings. 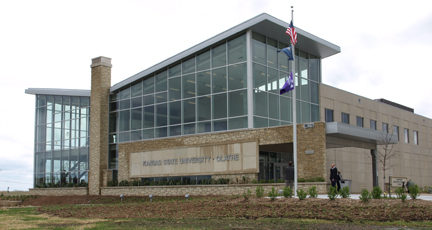 new K-State Olathe Innovation Campus in Olathe, Kansas. This annual exhibit features diverse works from some of the best Kansas artists around the state, curated by Don Lambert. 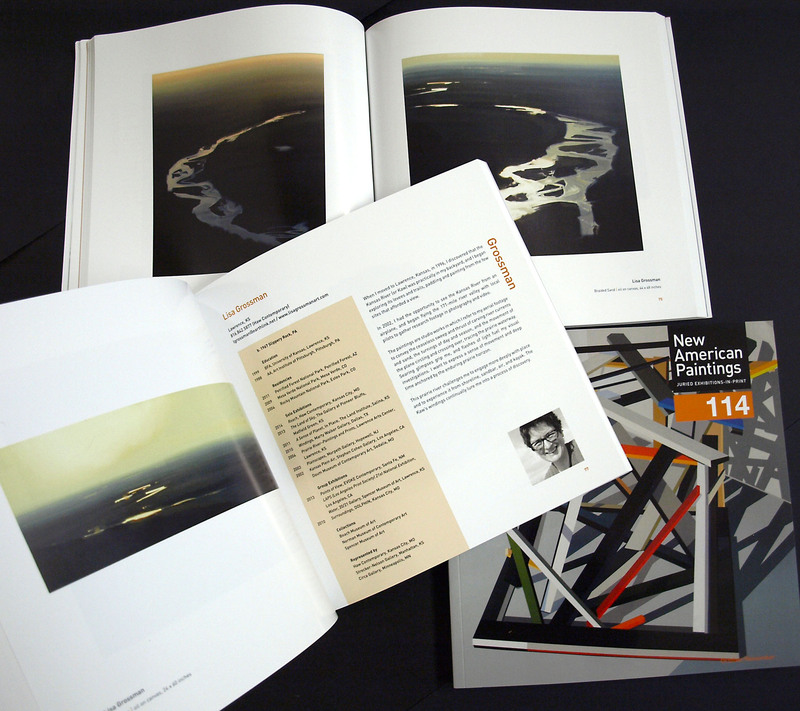 Grossman’s river paintings are featured in Volume 77, No. 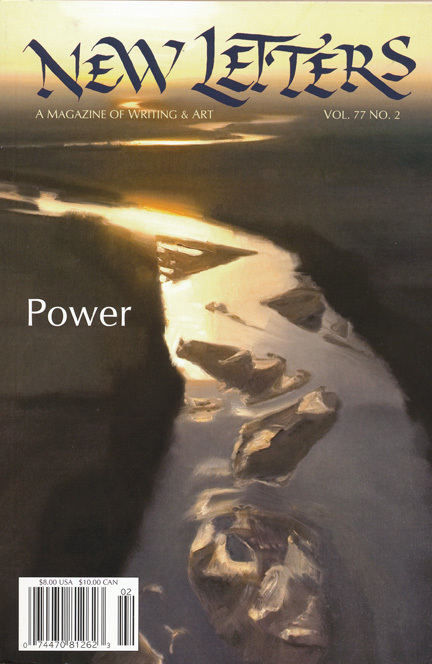 2 of New Letters, A Magazine of Writing and Art, published by the University of Missouri, Kansas City. This show was in cooperation with Strecker-Nelson Gallery and featured a variety of Grossman’s work with a “Final Friday’s” reception. Richard D. Olson of Waterville, Kansas, donated his collection of over a dozen Grossman oil landscapes and watercolors to the Beach and several were included in this show. 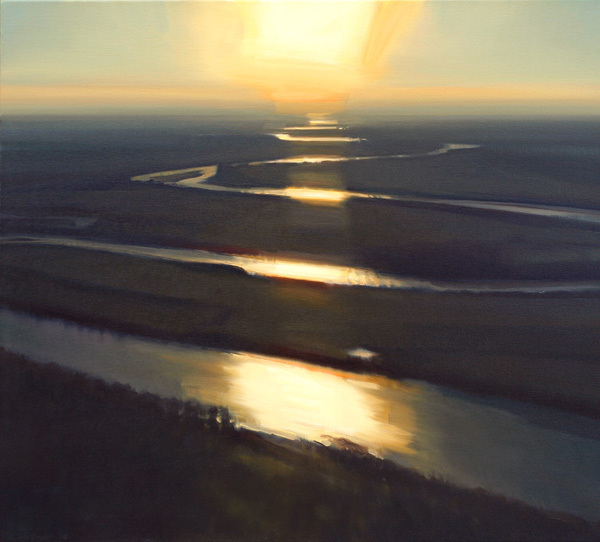 A solo show of work that featured Kansas prairies and river landscapes. 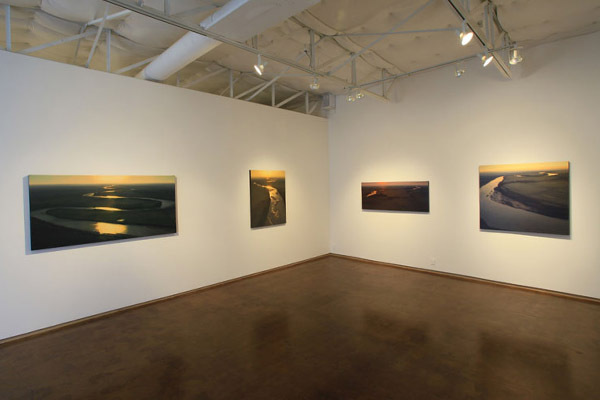 Grossman’s “86 Bends of the Kaw” print panels was exhibited in Site Specifics. 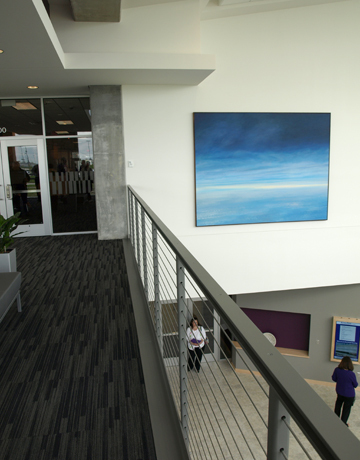 The Dolphin curated an exhibition of Grossman’s “Cloud” work at Hangar 10 for their grand opening. 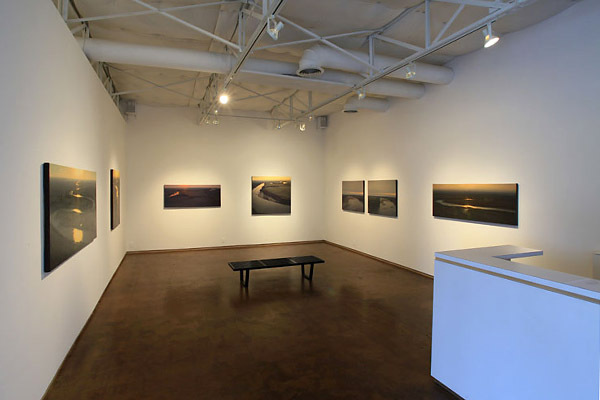 This show included “plein air” work from Grossman’s trips West and Southwest including artist-in-residencies at Mesa Verde and Petrified Forest National Parks in 2009. Narrator David Cateforis, describes Grossman’s work, “86 Bends of the Kaw,” in Site Specifics at the Spencer Museum of Art, on Lawrence’s public radio station, KPR. Grossman was included in the third biennial juried graphics exhibition with juror, Endi Poskovic. Grossman gave a public presentation at the Symphony’s fifth anniversary concert in the Flint Hills, featuring Lyle Lovett performing with the Kansas City Symphony. The ninth annual art exhibit for children included work from Lisa Grossman, Barbara Waterman-Peters, and Jon Needham. Grossman’s work was included in the inaugural juried exhibition and art walk to celebrate Topeka’s arts community. Grossman gave a presentation about her work to K-State students in the Capstone Course: Natural Resources and Environmental Studies. Grossman was selected for Art Through Architecture’s online roster of artists. 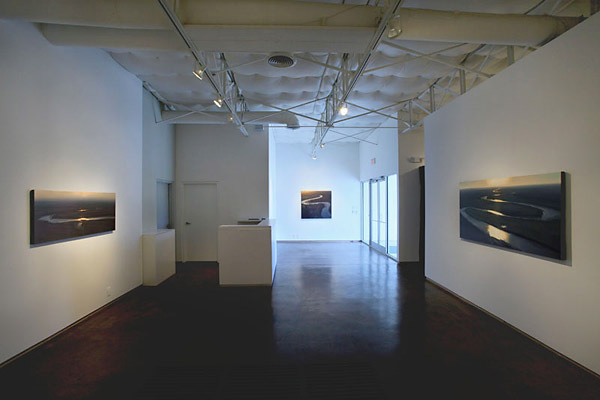 Grossman’s first solo show at the Marty Walker Gallery and featured large Kansas River oils. 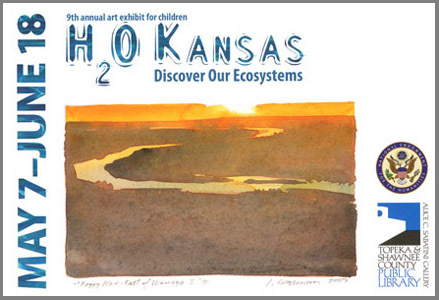 Surroundings featured four large Grossman Kansas River paintings as well as work from Jane Voorhees, Wilbur Niewald, John Ferry, Richard Mattsson, Philip Heying, and Jon Scott Anderson. 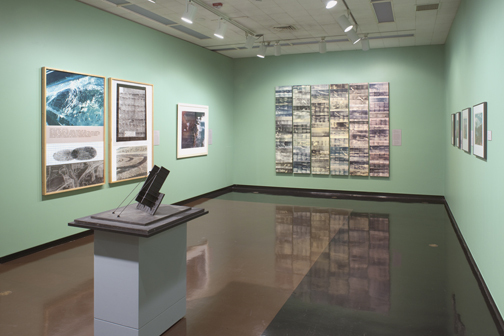 Grossman’s print panels were featured in this debut exhibit for the Spencer’s new Teaching Gallery, curated by Lawrence high school teachers featuring river-related work. Grossman received the now-defunct, Kansas Arts Commission’s, fellowship for visual art. Grossman was selected to be an artist-in-residence for two weeks of painting, October 25 – November 7, 2009. She painted a body of oils and watercolors, gave painting demonstrations to park visitors, and donated a piece of work to the park’s collection. Grossman was selected to be an artist-in-residence for two weeks of painting, May 17 – 30, 2009. She painted a series of oils and watercolors, demonstrated her techniques to park visitors, and donated a painting to the park’s collection. Grossman’s work was included in the annual DNSP exhibition and catalog. Grossman’s work was included in Parkside’s annual print exhibition and catalog.